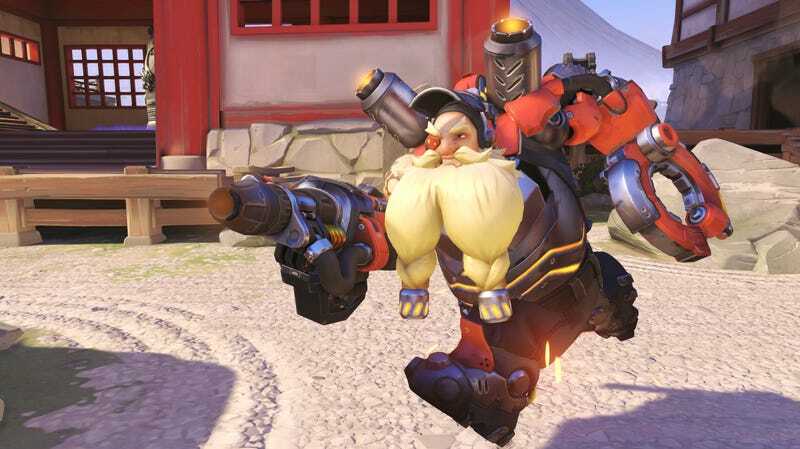 Overwatch’s feisty dwarf engineer Torbjorn has long been considered a“troll pick.” In my experience, it’s common for teammates’ blood pressure to skyrocket whenever players pick him. We already knew Torbjorn was getting a much-needed overhaul, and today, Overwatch’s game director Jeff Kaplan finally announced what Torbjorn 2.0 will look like. “The goal of all of these changes is to make Torb a more acceptable pick on both attack and defense and less map or role-dependent than he was previously,” Kaplan said in today’s announcement video. While Torbjorn’s ultimate ability, molten core, will retain its name (and its Pokemon-sounding voice line: “Moolteenn..... Core!!!!!! ), the ability itself is getting completely revised. “He can shoot out pools of that liquid magma that are very devastating in terms of area of effect damage,” said Kaplan, adding that “it does extra damage against armor.” Torbjorn’s gun will be getting changes too, but we don’t know what they will look like yet. Today’s game update also teased some more updates coming to the game, including changes to Pharah and Orisa, as well as the annual Halloween event, in which—buried lede alert—“Junkenstein’s monster finally gets a bride.” Roadhog, we’re so proud! Finally, Overwatch will be pushing out updates for players who are colorblind to improve their gaming experience.